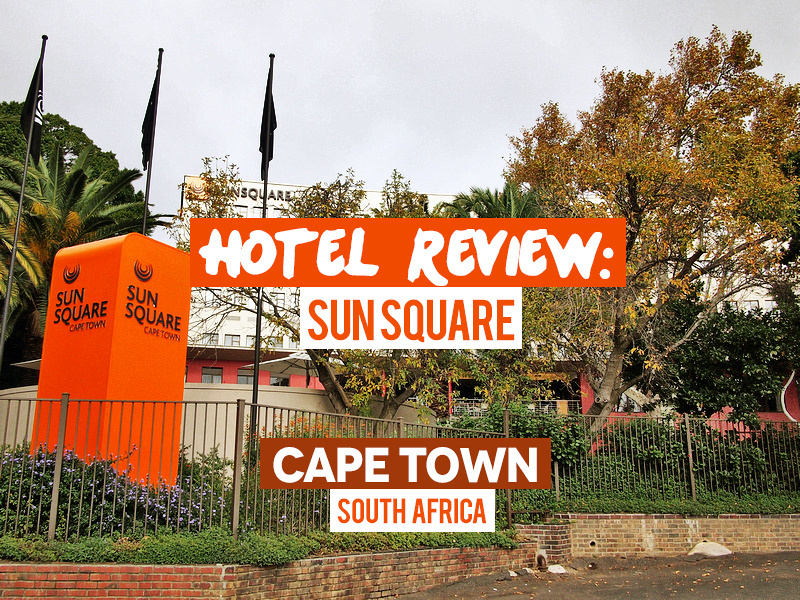 I stayed at the SunSquare in Cape Town, South Africa. I was a guest of the hotel who provided my stay in order to review. 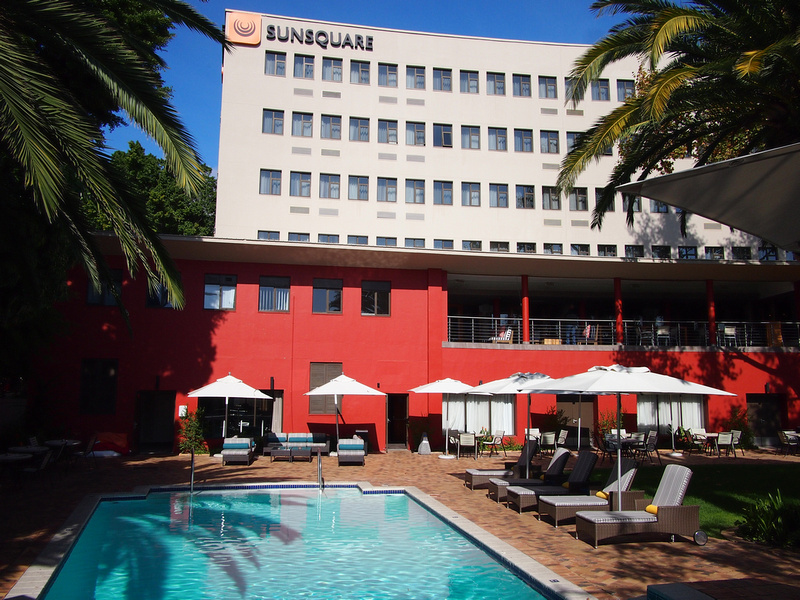 SunSquare is a hotel from the Tsogo Sun group. This wasn’t a familiar brand to me before I came to South Africa but they are the largest hotel and tourism company in the country. I soon became familiar with the brand, having stayed with at Tsogo Sun hotels in Johannesburg and Durban, and another one of their Cape Town hotels. Before I arrived in Cape Town I was completely unfamiliar with any neighbourhoods and where would be a good area to stay. When I was emailed that I would be staying at SunSquare I checked the site and it described the hotel as being at the foot of Table Mountain. I imagined it to be further away from the city, but no, it is both right in the city and on the foot of the mountain. 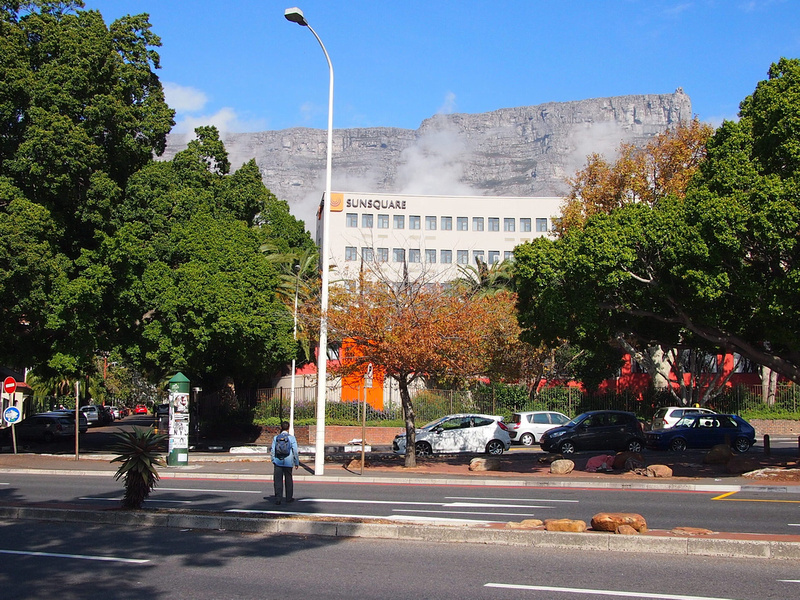 The Central Business District (CBD) is built in front of the mountain which dominates the city skyline. From the waterfront the CBD gently slopes upwards to the mountain. At the foot of the mountain are the nice little neighbourhoods of Gardens and Oranjezicht where the streets become steeper as they make their climb to the base. The hotel is just before the gradient change. Approaching the hotel I couldn’t help but notice that the building is shaped like Table Mountain, sitting in front of it in homage as a man-made replica. The hotel stands alone on its own self-contained secured property. There is a drive way with a big parking area out the back. 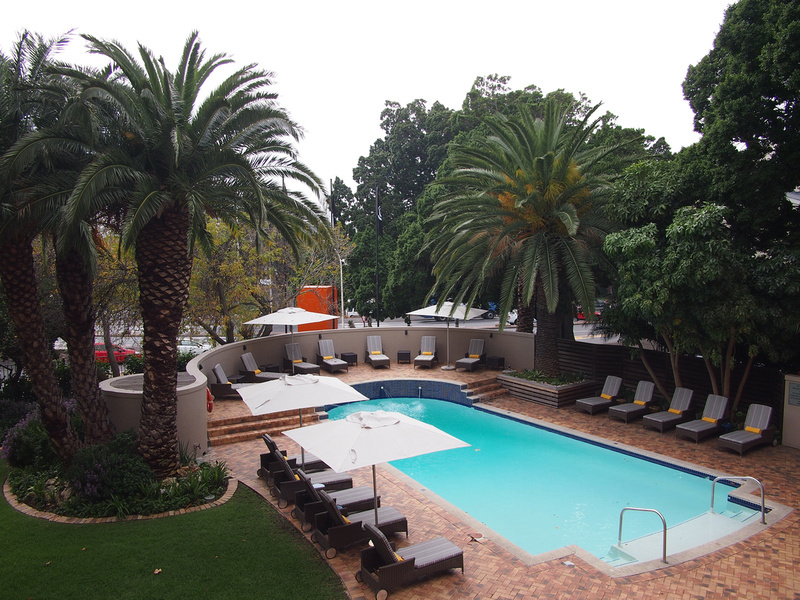 It is easy to walk to the CBD from here and it would be an ideal hotel for those who are driving around South Africa. At the front there is a private garden and pool area which is closed off from the outside view, yet the hotel has an unobstructed view of the city. I got a room on the city side, which overlooks the pool and has a good view of the city skyline. The bed here was big and super comfortable. 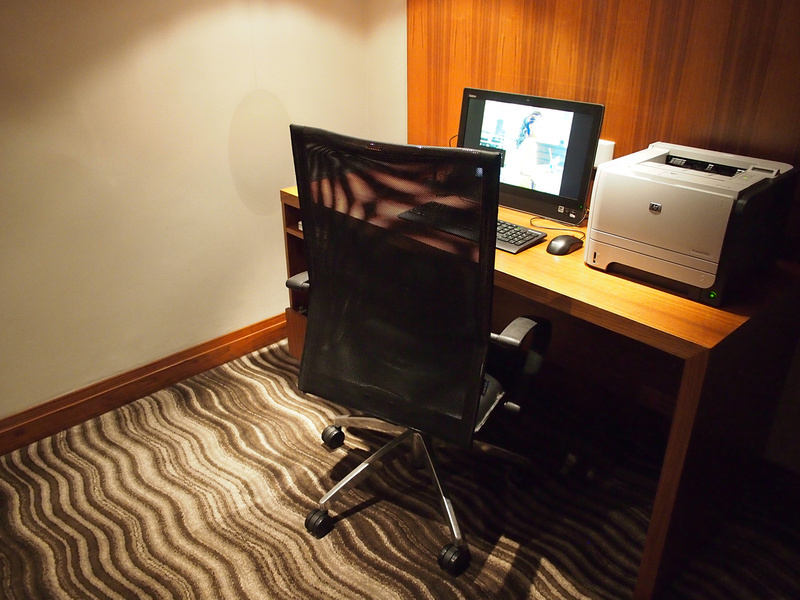 My room had a good sized work desk which marks the space between the living area and bedroom. It was a good desk to work from though I could not resist working from the comfort of the bed. There is cable TV with local and international channels. The room has tea and coffee making facilities, including espresso pods and some chocolate-chip biscuits which were replenished daily. 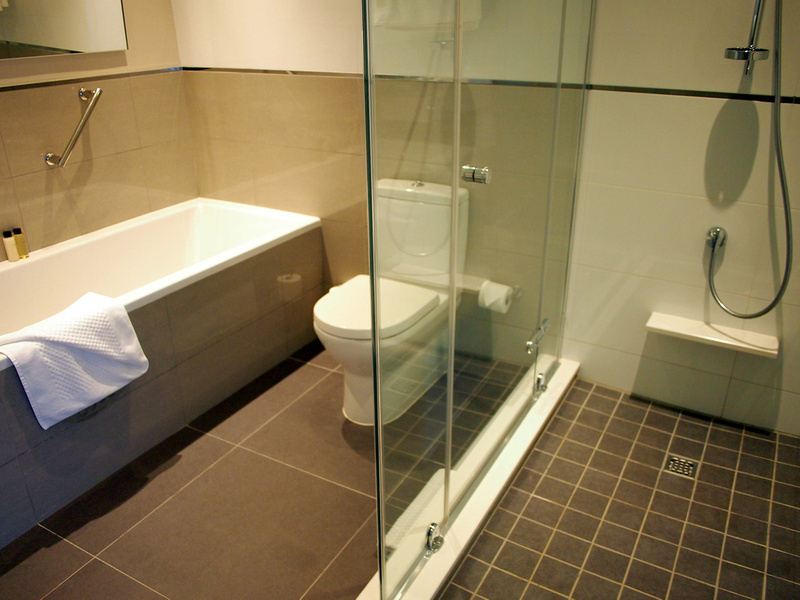 I had a nice bathroom which had a separate bathroom and shower space. 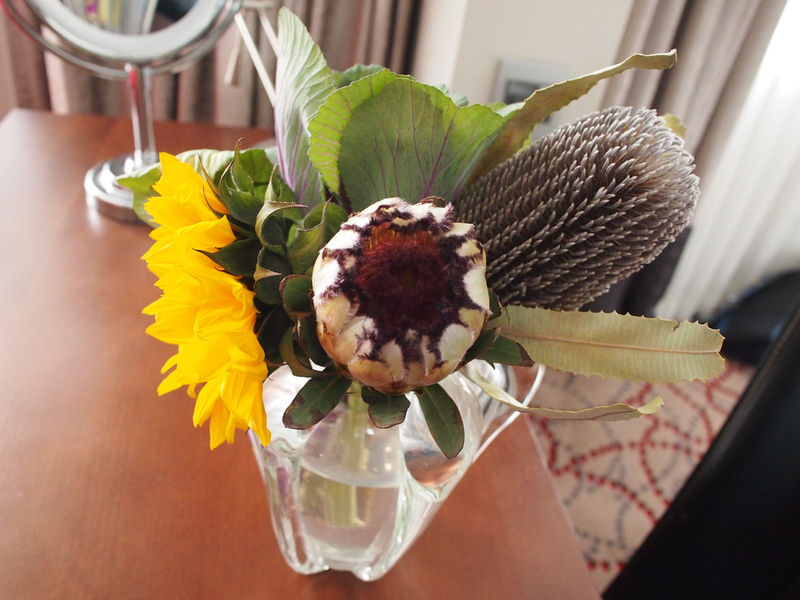 A fresh flower arrangement in my room, which includes the protea – the national flower of South Africa. 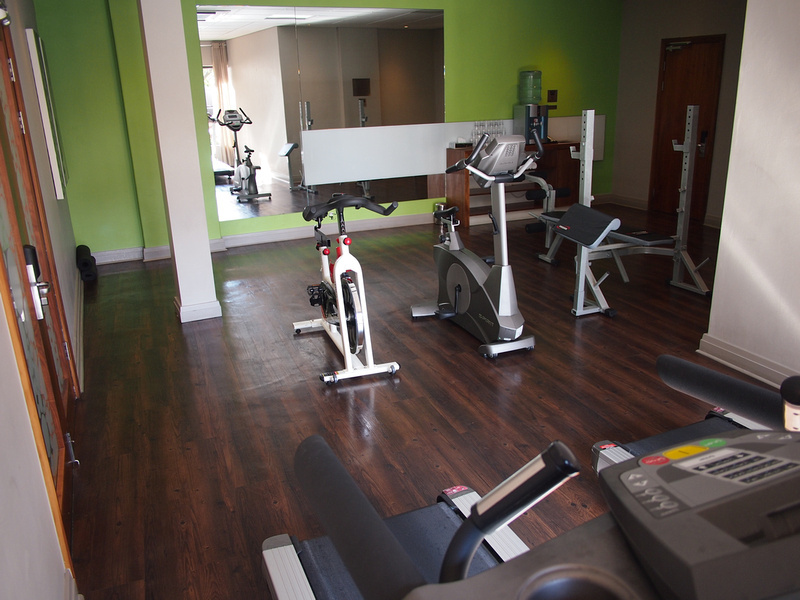 On the lower level is a fitness centre and some conference room space. I didn’t go swimming but it was nice to sit outside in the warm autumn sun and read by the pool. 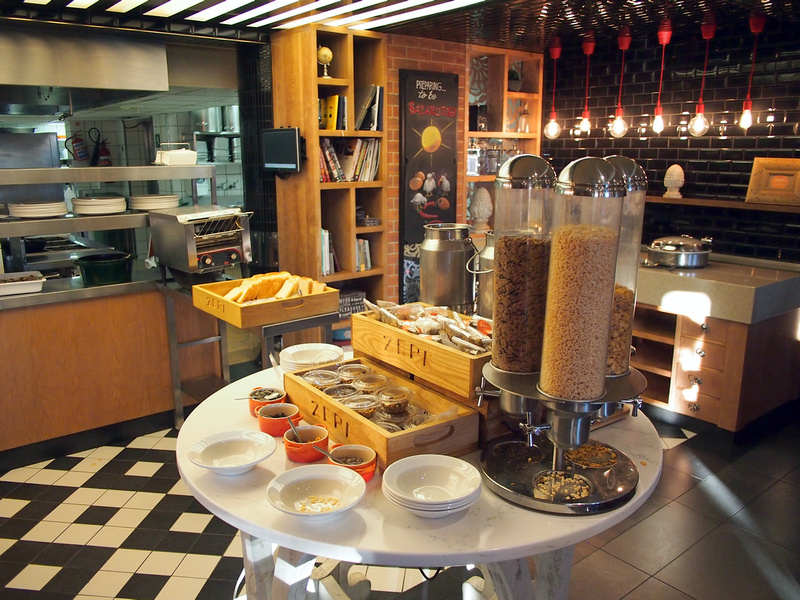 I had breakfast onsite everyday which had a big selection of continental favourites along with a variety of cooked meals. There is a chef onhand to take requests to get your eggs cooked anyway you like. The indoor dining area is a big area but I opted to take breakfast outdoors most mornings to enjoy the morning light. 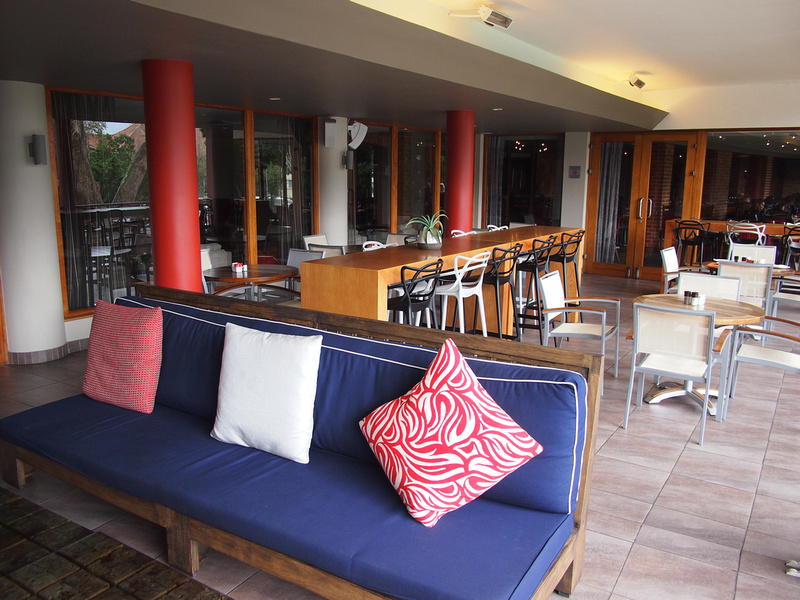 The balcony area has a variety of seats and tables where you can eat or order a drink from the bar. 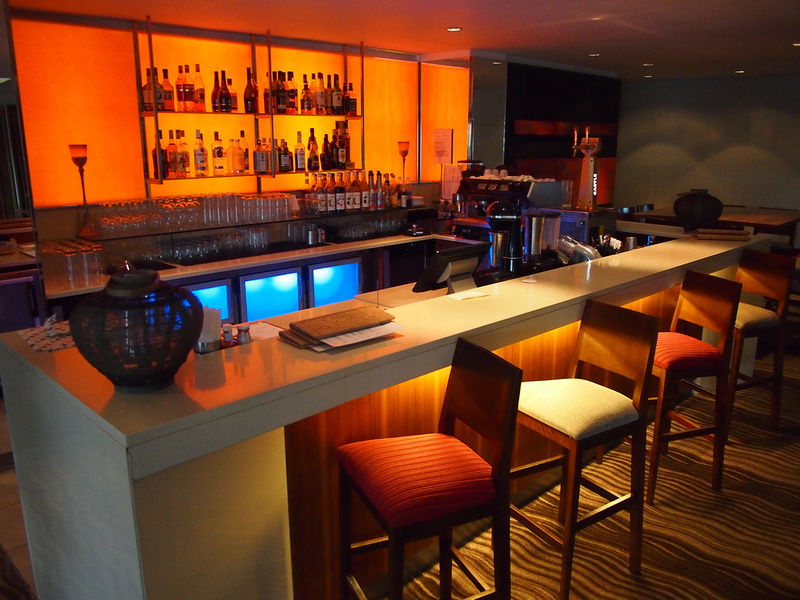 And speaking of bar, here is the bar. In the lobby there is a little computer room for those who don’t have a mobile device. I did use this to print out a travel document, so this came in handy. I mentioned the location at the start, which I enjoyed as a base to explore Cape Town. My favourite walk in the whole city was my daily walk down Government Ave, which the start is two streets away. 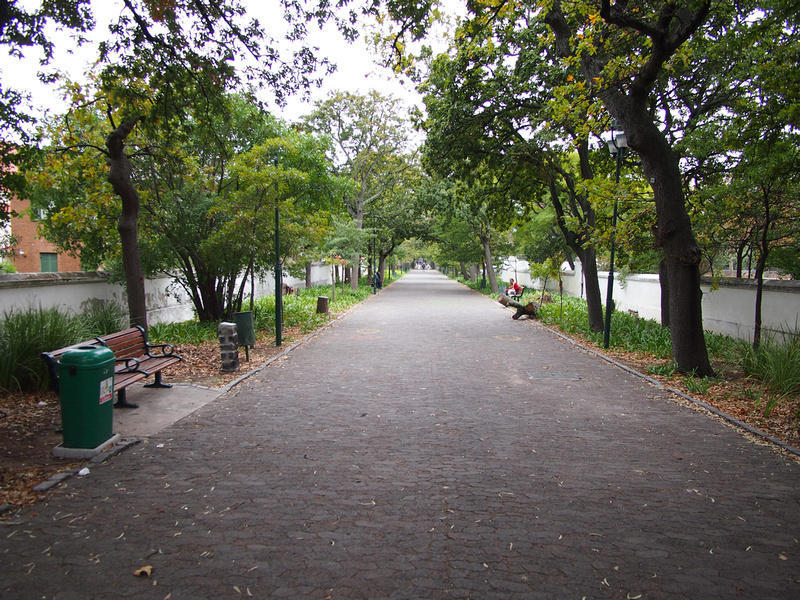 This avenue is a tree-lined boulevard that passes the parliament building and the Company’s Garden, the central park of Cape Town. The avenue then ends at St George’s Cathedral on Wale St, in the middle of the CBD. A few minutes walk past Government Ave is the start of Long Street, which is a popular party street lined with bars and restaurants. On the other side of the road of the hotel is a service station which has a Woolworths minimart, plus ATM facilities, and fast food restaurants. Overall this was a great place to be based while exploring Cape Town and surrounds. 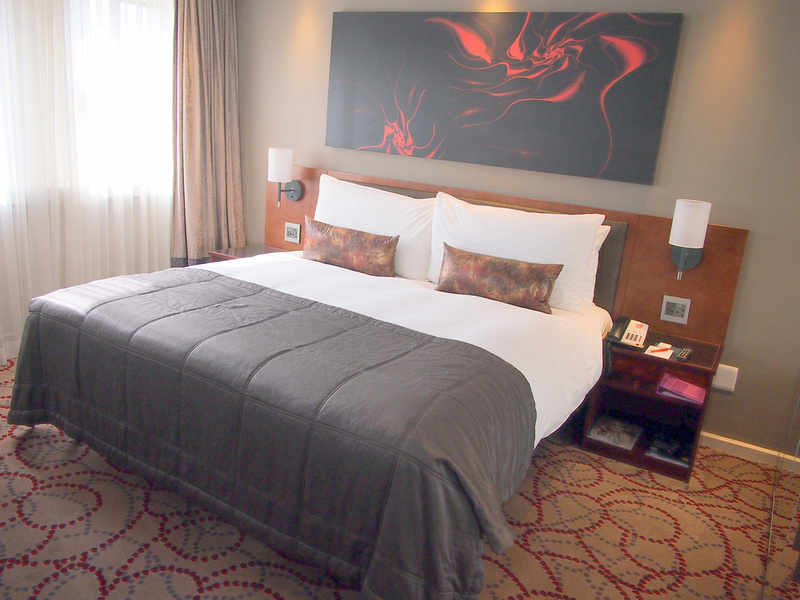 For more information check out the SunSquare Cape Town webiste or view other Tsogo Sun hotels in Cape Town. 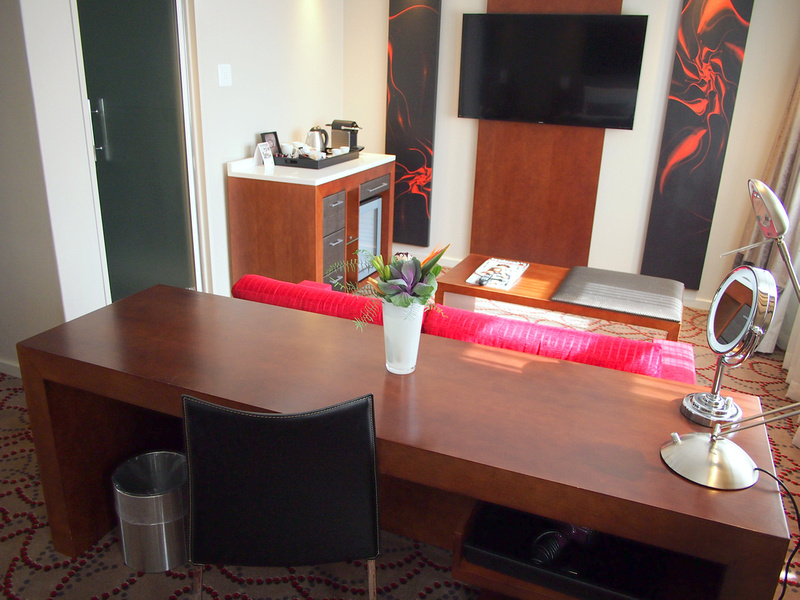 For more photos visit the SunSquare Cape Town photo gallery.